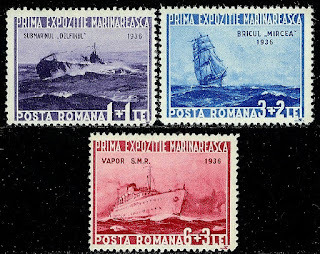 In 1936, Romania issued a set of three semi-postal stamps picturing ships in celebration of its Marine Exposition (Scott #B66-68). 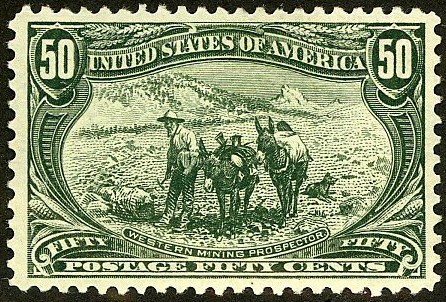 60,000 sets were issued, and Scott '13 prices the unused set at $ 8.75. 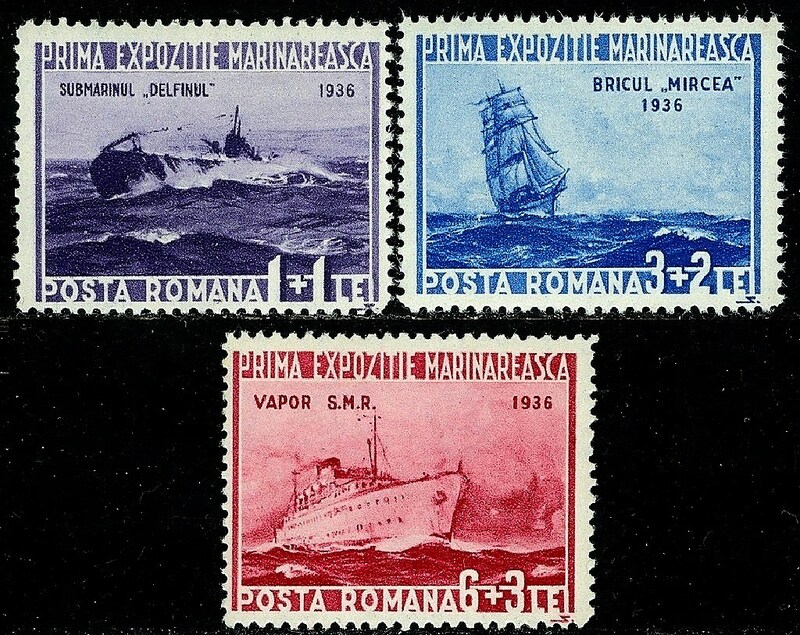 The set has dual market appeal to collectors of Romania and Transportation/Ship topicals.